The frequency of headlines should be enough to alarm any gold and coin collector – everything from overpriced gold-plated replicas to non-existent bullion and coins reminds all of us that a gold and coin scam is being perpetrated every hour of every day, somewhere in this country. Battling this never-ending tide of fraud are law enforcement agencies across the country. Here are highlights of some of the latest crimes they’ve worked on this year. Two suspects, one in Oregon and another in Texas, have spanned the country from New York to Colorado allegedly fleecing victims by aggressively seeking to appraise their coin collections. Once the victims relented to the incessant calls to appraise the coins, the scammers received the coins and disappeared with them. One of the scammers had the gall to return to the victims and ask for a cashier’s check to purchase more coins to make their collection more valuable. One of the suspects is believed by authorities to be winding his way back to his home state of Texas in an effort to elude law enforcement. Another has been apprehended and faces fraud charges. The Perth Mint’s one-ounce gold bars are attractive items to counterfeit because of their small size and most amateurs’ unfamiliarity with them. By trying to sell both on Craigslist and at Wichita, Kansas coin shops, the suspect gained a bit too much exposure and aroused suspicion. The Perth bars he allegedly tried to sell were too thick and did not hold up to scrutiny by an XRF analyzer. The Perth Mint cautions buyers to beware the fakes, which generally do not pass muster with experienced buyers, but may fool amateurs. Another seller working the Fort Smith, Arkansas area tried to pass off one-ounce gold coins (Buffalo, Eagle and Kangaroo) in Numismatic Guaranty Corporation (NGC) coin holders. He fled the scene without his fakes. Other recent instances of fake gold bars include Produits Artistiques Métaux Précieux (PAMP) Suisse gold bars in various sizes that are, in fact, made of a substance almost as dense as gold. The fakes are the right width and length, but are thicker than genuine PAMP Suisse bars. This makes their weight identical to real 2.5g, 5g, 10g and one-ounce bars. Suspects arrested in Indiana had a car full of fake gold bars and coins and multiple sets of identification, ready to continue their coin scam and gold fraud. Many coin collectors and dealers trust cashier’s checks for transactions because they seem more secure than personal checks. 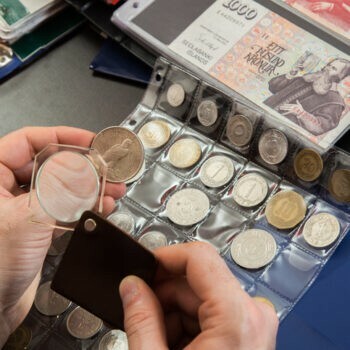 Coin dealers and private collectors have been victims, however, of criminal gangs using fake cashier’s checks to purchase one ounce gold coins and other collectibles. Reports have come in from Washington, California, Illinois and Florida. Suspects have been arrested in Illinois and Oregon. A common ploy with counterfeit cashier’s checks used to acquire gold coins is to put a fake telephone number of a non-existent financial institution on the check. The coin dealer or collector calls the number – which is a working cell phone number – and reaches another member of the criminal gang, who falsely verifies the check’s authenticity. To protect yourself against any coin scam or gold coin fraud, work with an experienced coin dealer. 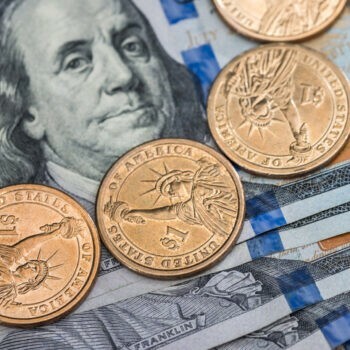 Universal Coin and Bullion’s Mike Fuljenz has worked with law enforcement and the United States Postal Service to fight fraud. He understands just about every type of coin scam and gold fraud perpetrated, and can work with you to answer your questions. Contact Universal Coin and Bullion today.